We’re the ones who took apart the toaster and alarm clock at age five. As teenagers, we’d rather work on cars than eat dinner. We’re Trekkies. Our heroes are Scotty, Spock, Einstein, Richard Petty, and Neil Armstrong. We not only love technology…we feel compelled to make it do more, run faster, last longer, and be more reliable. For us, it’s not only about the pursuit of perfection; it’s about pushing the boundaries of how perfection is defined. Hi! 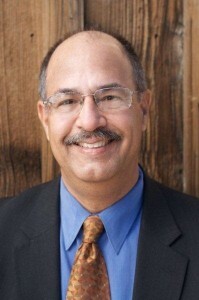 I’m Terry Vergon, international speaker, consultant, and mission-critical-facilities expert. I’ve been in and around mission-critical environments for more than 30 years, and I’ve been helping organizations build great teams for that entire time too. I’ve put it all together in my book “Building Mission Critical Facilities Organizations” which is available here and through these * online retailers. I also like to speak about mission-critical facilities and leadership, and would love to engage with you about mission-critical facilities and the organizations tasked with operating them. Follow me on Google+ and LinkedIn, sign up to receive my blog, buy the book, or ask me to speak to your organization. Let’s push those boundaries!